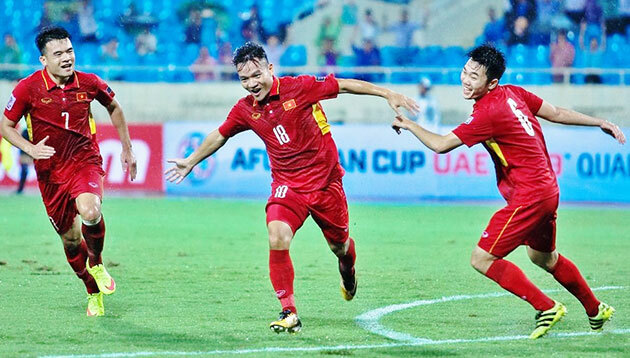 The Vietnamese men’s football team jumped nine steps to No.121 globally on the FIFA ranking for October, according to the Vietnam Football Federation (VFF). The rise is attributed by the team’s second consecutive win against Cambodia at the Asian Cup 2019 Qualifying round, which added 20 points to the team on the FIFA ranking. The national squad with 261 points now ranks 21st in Asia and second in Southeast Asia. In Southeast Asia, the Philippines with 272 points jumped seven spots to the first, while Thailand was placed third with 225 points. Iran led Asia with 784 points, while the second and third places were held by Australia (714 points) and Japan (711 points). Top five on FIFA ranking were Germany, Brazil, Portugal, Argentina and Belgium./.